The number of middle-aged men who'll get HPV-related cancer is expected to experience a big jump in the near future. HPV is human papillomavirus, the same virus that causes cervical cancer in women. According to a recent story by Peter Jared in the AARP Bulletin, otherwise healthy men in their 40s, 50s and 60s "are showing up with a form of throat cancer that targets the tonsils and the back of the tongue, an area called the oropharynx." Each year, the article notes, "oropharyngeal carcinomas are diagnosed in more than 15,000 men and women in the U.S. [but] public health experts warn that the number of cases in men over age 50 will rise dramatically in the coming years." 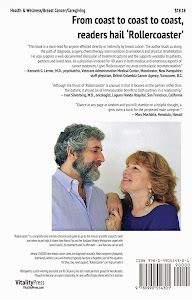 Men with the cancers already outnumber women by a 4 to 1 ratio, the Bulletin reports. 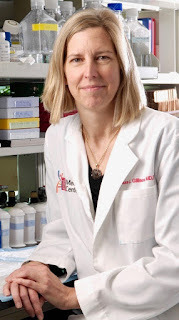 Dr. Maura Gillison, Ohio State University Comprehensive Cancer Center oncologist, was one of the first researchers to determine HPV was the cause of some throat cancers. In 2007 she found, according to the story, "that those with head and neck cancer were 12 times more likely to be infected wth HPV in their mouths and throats than healthy individuals." The story goes on to say that "shockingly, HPV-positive oropharyngeal cancer is projected to overtake cervical cancer by 2020." 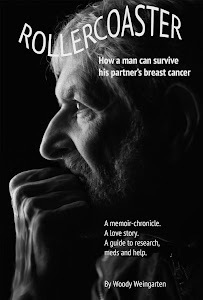 Details on medical and research trends and projections can be found in "Rollercoaster: How a man can survive his partner's breast cancer," a VitalityPress book that I, Woody Weingarten, aimed at male caregivers.